Ulster have signed Ireland-qualified fly-half Billy Burns from Premiership side Gloucester. The 24-year-old joins on a two-year deal having made his senior debut in 2012. Burns represented England at Under-18 and Under-20 level and scored 304 points in 101 appearances for the Cherry and Whites. Gloucester confirm the departure of Billy Burns to Ulster. 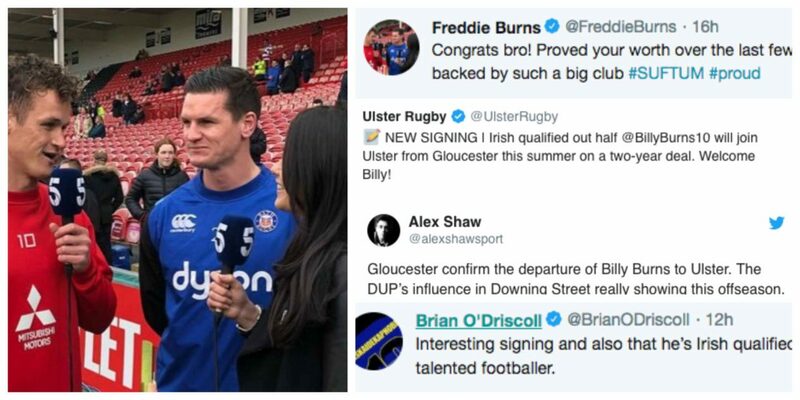 The DUP’s influence in Downing Street really showing this offseason.